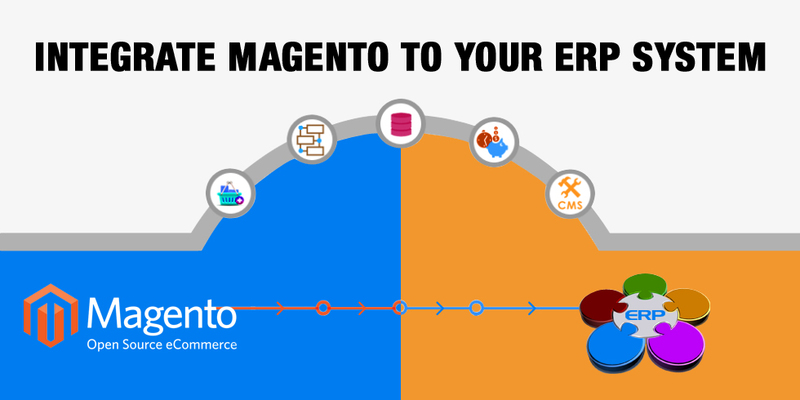 If you have setup your store on Magento, and you have implemented the ERP system within your organization, the first thing that should concern you is integrating the two. With this integration, tracking inventory and changes within the business becomes easy. Why is this integration so essential? For a business, when the systems grow, they become huge and complex. At such a point in time, manual data entry would be a very tedious and impossible task. With the integration, an easy flow of data would be possible between the two systems, thus helping the business achieve its targets, and the organization to run smoothly and proactively, irrespective of the conditions. Till you don’t understand how the order management system on your e-commerce setup works, you will never be able to move ahead with the integration. You need to understand the elements that are at work within the product setup in Magento as well as their functioning to begin with. With time, you will understand that the order management system is typical for Magento and it works in a precise format. You can easily control the different product related data available in the e-store using the attributes, that are used for product variation or other product related information. This information is then directed to ERP system which will further convert it into an order. This way you will save time on what needs to be ordered and how. The integration will automate the process. You will definitely need elements like products, attributes and other data to help you with order management. It is not enough to know one system thoroughly; you will need to understand how the ERP system works to get through the integration. Each ERP system uses different parameters and settings within its operation. You will need to know Magento specifications required for the integration as well as a complete understanding of the ERP system used by your organization to roll out the integration process. Without understanding the specs as well as the settings of your ERP system, you will be in for a bad time when integrating the two. You might need to customize your ERP system to match the needs of the online sales place, and then accordingly setup the features and parameters. It is up to you to decide what data, or information should be exchanged between the two systems that your business has ably established. You will need to figure out if you want a two-way data stream between the two systems, or would it be better to avoid such an exchange. Do you want to include price or customer information in the data exchange? You will also need to specify the time interval between two data exchanges. The whole process will depend on your business needs, budget and the software capabilities required by the organization to successfully achieve its goals. When you are planning on integrating Magento and ERP systems, you will need to define the budget as well as the time frame within which you might want to achieve the whole task. This will typically depend on the business goals as well as the degree of automation required by your business to achieve its goals. The number of touch points required for the integration will also help understand what budget and time frame would be ideal to achieve the goal.